Brian James Baer is Professor of Translation Studies at Kent State University. He is author of Translation and the Making of Modern Russian Literature (2016) and editor of several collected volumes. 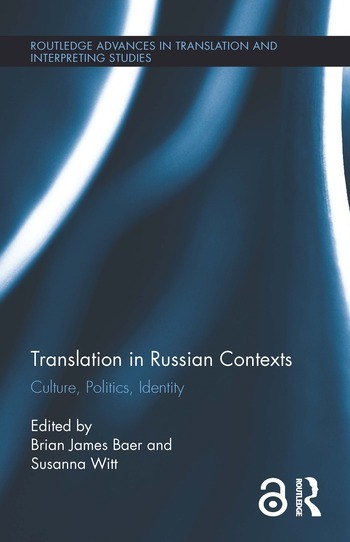 He is founding editor of the journal Translation and Interpreting Studies and co-editor of the series Literatures, Cultures, Translation. Susanna Witt is Associate Professor in Slavic Languages and Literatures and Senior Lecturer in Russian at the Department of Slavic and Baltic Languages, Finnish, Dutch and German, Stockholm University, Sweden. She is the author of Creating Creation: Readings of Pasternak’s Doktor Zhivago (2000) and numerous articles on modern Russian literature and topics of Russian translation history.